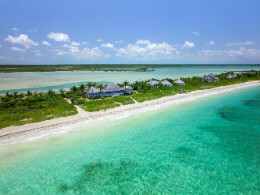 Despite their protests to the contrary, The Bahamas Department of immigration has, in a release today, effectively admitted to kidnapping a man in Palmetto Point, Eleuthera. The Royal Bahamas Defence Force wishes to advise the general public that a video circulating on social media with an RBDF patrol craft stopping a Haitian sloop is not a current video. That particular video showing numerous Haitian nationals being transferred to the RBDF patrol craft P-129 occurred a few years ago. The Royal Bahamas Defence Force apprehended a Haitian smuggling vessel west of Compass Cay in the central Exuma chain around 12:45 today. The apprehension was the culmination of an interdiction effort coordinated by the Defence Force involving the Royal Bahamas Police Force, OPBAT, the US Coast Guard, and concerned citizens over several days. I and my colleagues were extremely disturbed by a video circulating on social media of what looked to be the kidnapping of a man in broad daylight by uniformed officers. 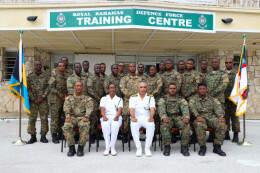 Twelve (12) marines from the Royal Bahamas Defence Force’s (RBDF) Military Police and Force Protection (MPFP) Department recently completed a three-week Close Range Combative Systems (CRCS) training course at the Coral Harbour Base. 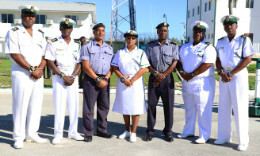 The Royal Bahamas Defence Force said farewell to Force Chief Petty Officer (FCPO) Idamae Ferguson after 33 years of committed service. FCPO Ferguson was the first female in the Defence Force to attain the rate of Warrant Officer after being promoted in 2017; a Warrant Officer is the highest rate within the enlisted corps. Another body was retrieved from the waters in Abaco today as joint efforts continue after a boat with Haitian nationals aboard ran aground on Saturday past. This additional discovery now brings the count to 30, the number of Haitian nationals who have perished when a 40-foot conventional sailing yacht ran aground. .. 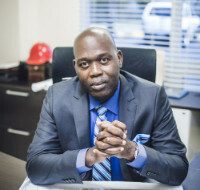 If The Bahamas is to ever meet its own 150 million-pound demand for white meat, close co-operation between the government and the poultry industry is vital, said the next big innovator readying itself to enter the market, propelling the nation that much closer to food security. According to Damianos Sotheby’s International Realty, 2018 was another healthy year for luxury residential real estate sales with the company’s list price averaging $1.55 million and sales prices averaging $1.4 million. 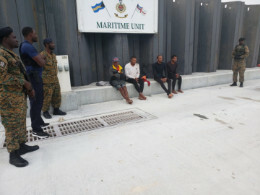 Fifty-five (55) Haitian migrants were charged before the courts after they were apprehended in waters off of Marsh Harbour during a joint operation by the Royal Bahamas Police Force, Immigration and Defence Force Officials last Thursday. 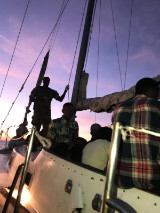 The migrants (45 males, 10 females), all pleaded guilty to illegal landing before Magistrate Cara Turnquest on Monday. They are expected to be deported as soon as possible. The Royal Bahamas Defence Force air, land and sea operations in the southern New Providence and Exuma chain areas have resulted in the apprehension of a Haitian vessel shortly after 8 a.m. this morning. 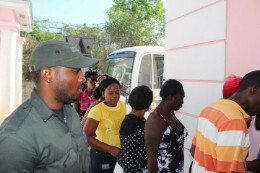 A joint operation between the Royal Bahamas Police Force, Bahamas Immigration Department and the Royal Bahamas Defence Force resulted in the apprehension of 54 Haitian nationals in the Abacos on Thursday afternoon. 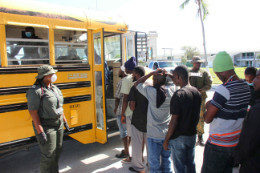 A total of 124 Haitian migrants were apprehended early Sunday morning by the Royal Bahamas Defence Force after they were discovered in Bahamian waters. A joint effort by the US Coast Guard Operations Turks and Caicos (OPBAT) and the Royal Bahamas Defence Force (RBDF) on Saturday afternoon has resulted in the apprehension of 4 Dominican fishermen in Bahamian waters. 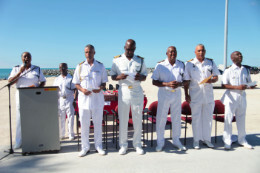 As a result of their hard work and dedication throughout the year, 3 Marines from the Royal Bahamas Defence Force were recipients of the Marine of the Year Award in their respective categories at the Force’s Annual event. For the second time within a week, the Royal Bahamas Defence Force (RBDF) apprehended another group of Dominican fishermen earlier this morning for illegally operating in Bahamian waters.